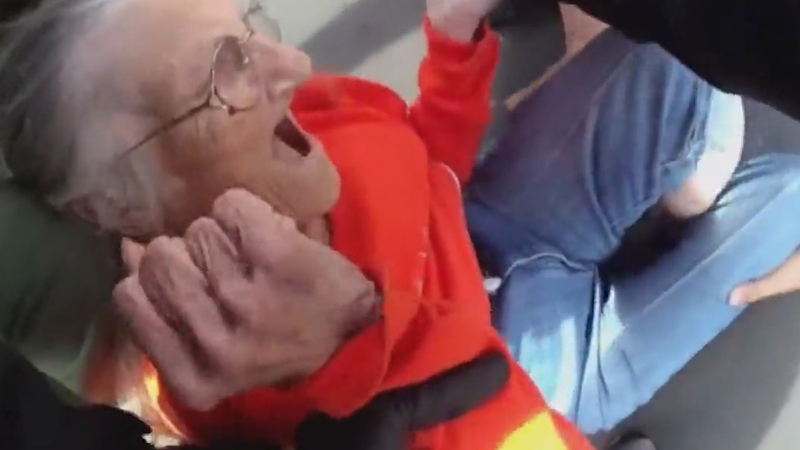 Police officers have been filmed dragging a crying and screaming 93-year-old woman to jail in shocking footage. Juanita Fitzgerald can heard shouting ‘you’re hurting me’ and ‘help!’ as the officers evict her from the home she has lived in since 2011. 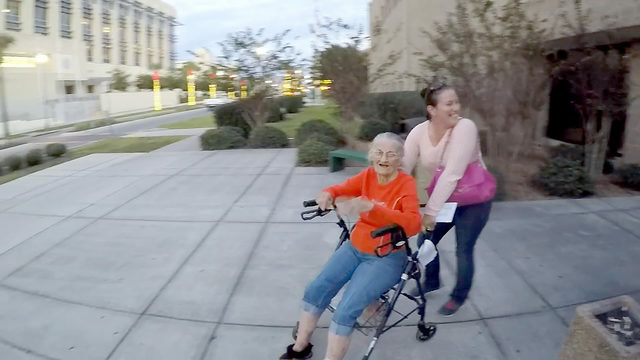 In the police bodycam video, she can be heard continuing to shout ‘no’ and ‘ow’ in a distressed voice as she sits in the ground by her walking frame. 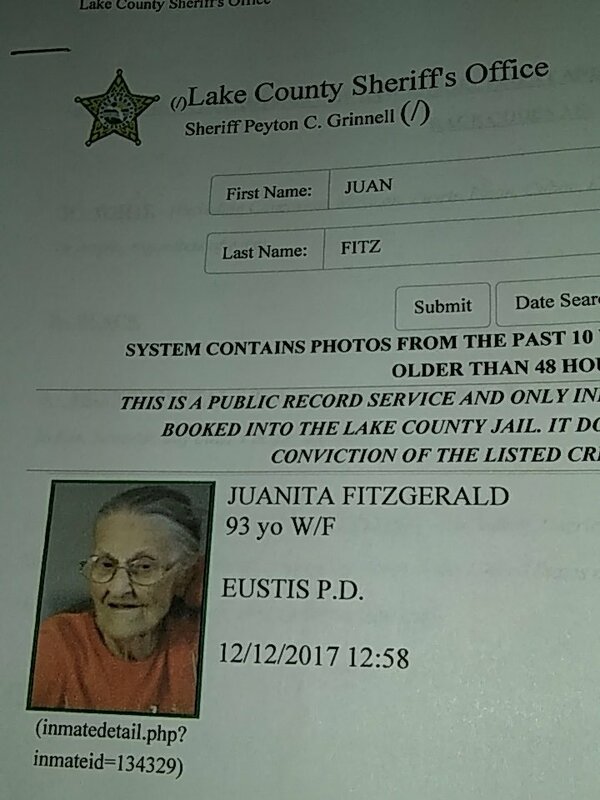 An officer is heard telling the pensioner ‘we don’t want to hurt you’ in a video of the incident in Eustis, Florida. Another officer can be heard saying ‘don’t scratch me’ as him and his colleagues continue their efforts to get her into a patrol car. Fitzgerald is then finally put in the back seat of the police car after her efforts to resist being evicted. Eustis police say they arrested her for trespassing after the Franklin House facility in which she lived reported that she has refused to pay rent for the past three months. Karen Twinem, with National Church Residences, which owns the Franklin said Fitzgerald told the staff she held back the rent because she thought she was going to die soon, News 6 reported. Fitzgerald also had complained about having mold in her apartment, but said the facility had her apartment tested and no mold was found, Twinem said. She added officials contacted the woman’s family several times to try to get her help and even reached out to several agencies. 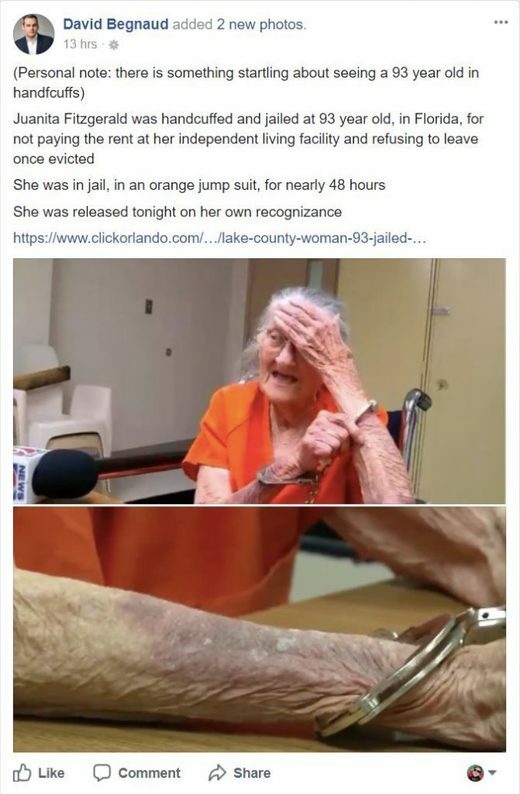 But Fitzgerald denied the allegations that she didn’t pay rent because she thought she was going to die soon and insisted she tried to pay in October. 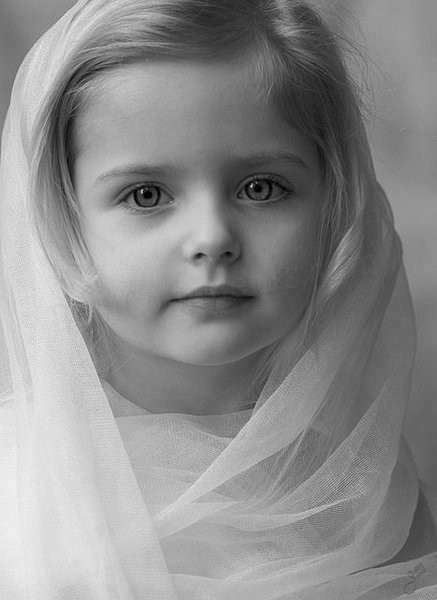 ‘I don’t have anybody. My family is in Tennessee and I told them not to tell my son anything that’s going on,’ she said.